We're your local Des Moines commercial contractor. 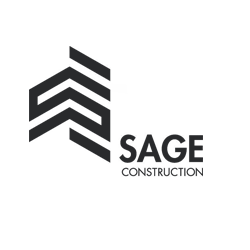 When you choose Sage Construction as your commercial contractor, you get construction experience that you can trust. Our Des Moines company provides commercial business owners with top-notch building and planning services. We focus on providing our clients with meticulous workmanship and prompt job completion, and our affordable rates are sure to make a difference in your bottom line. From major renovations to floor plan updates to brand new construction, our crews and supervisors are fully prepared to see you through from start to finish. Our tradespeople are among the best you can hire, and we take special care with each task we undertake. When you work with us, you get solid results designed to support long-term use. Our company can assist you with: DRYWALL INSTALLATIONS | FRAMING SERVICES | CEILING PROJECTS | GENERAL CONSTRUCTION When capital improvements are on the horizon for your Des Moines-area business, speaking with the drywall contractor from Sage Construction could be to your advantage. Call us today, and fill us in on how we can help you increase the value of your commercial property and improve its overall useful life.